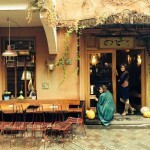 “Tsangala’s” is the name of a new wine bar and shop in Tbilisi. The bar and shop is located in the heart of old Tbilisi, close to the famous Rezo Gabriadze Theatre with its quirky clock tower and artistic atmosphere. The shop has a professional wine expert on board and is targeted not only to the general public but also to wine connoisseurs. Tsangala offers a broad selection of Georgian wines from leading winemakers, including selected qvevri wines. “Vinomania Batumi” is a new project of Shalva Mecxovrishvili, the owner of the legendary “Vinomania” shop in Tbilisi, Leselidze street. Taking into account the experience & success fact of “Vinomania Tbiliisi” – no doubt- this one will triumph in summer capital of Georgia! The name speaks for itself. And the slogan of this place is: “Best selection of wines for the best price”. No doubt, this shop is one of the best in Tbilisi. Plus, it has a very interesting art space for thematic gatherings and wine tastings. We are happy to announce, that from now our two new 2014 premium wines Rkatsiteli and Napаreuli are available in a very nice place on Erekle Street – G.Vino. Designed to trifles, this place has already earned the attention of real wine lovers and gourmets. If you have not been there yet, then hurry up to correct this misunderstanding. 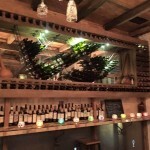 Danieli Winery recommends this wine spot on the Tbilisi wine and food enthusiast map. 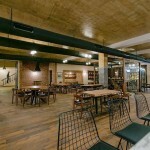 This new Wine Restaurant “Barbarestan” is offering XIX century Georgian unique dishes, originating from the cookbook written by Barbare Jorjadze, a 19 century Duchess. This family owned establishment opened recently in Tbilisi. 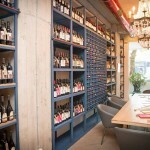 The restaurant offers food pairing with high quality Georgian wines and has a cozy atmosphere which gives the visitor an unforgettable dining experience. Betsy’s Hotel is an exquisitely decorated boutique hotel overlooking the center of Tbilisi. The staff makes every visit unique with Georgian warmth and intimacy. The atmosphere is quiet and comfortable. The food and selection of wines are just perfect. Designed as an affluent Georgian home, with great love and care for each detail, Vinotel will engulf you with beauty and comfort. The restaurant features five separate chambers each with a different style where you can sample exceptional wines with top Georgian cuisine. 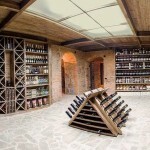 Most interesting is a historical arched brick wine cellar, which offers you an exceptional selection of the best of Georgian wines. Wines are kept at optimum conditions thanks to the natural properties of the cellar combined with the recently added cutting-edge storage technology. 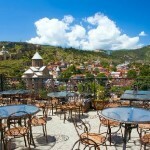 This is truly one of the nicest places to visit, eat and shop in Tbilisi. Done with great taste, fine atmosphere, exquisite menu and wonderful garden, “O, Moda, Moda” is originally café-shop (for non-smokers) which is very rare in Tbilisi. Here you can play chess, domino, cards and buy vintage clothes and accessories by Georgian designers. You can also taste real “Laghidze Waters”, interesting European dishes and a smart selection of wines. One of the oldest wine shops on Tbilisi. 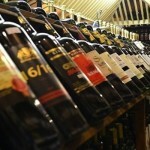 This place has a huge selection of Georgian wines, including small artisan wineries and industry leaders. “Old, but Gold”, especially for tourists. “Your Wine” is typical modern wine shop on Leselidze Street. The wine selection is excellent thanks to the owner who cares more about quality than quantity. 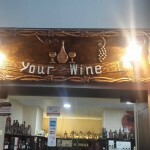 At your service: special wine tastings, Georgian traditional souvenirs and gifts. 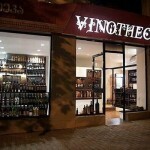 “Vinomania” is the famous wine project of Shalva Mecxovrishvili. 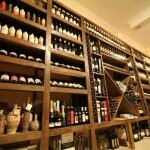 His place became popular not only because of the special location and a large selection of wines but also because the owner created an intimate atmosphere where all guests feel they participate in a real Georgian atmosphere of hospitality. It is definitely just more than a wine shop. On weekend evenings you can listen to a live saxophone show on the lovely outside front terrace. The creative name of this shop reflects how special the wine selection is. 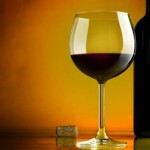 The owners are true wine enthusiasts who can talk wine all day long. 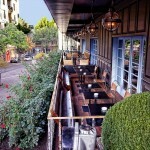 You will probably fall in love with the cozy atmosphere of this bar and its people. 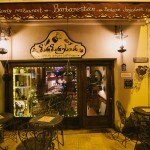 This wonderful restaurant is located next to the Gabriadze Theater. The ambience inside is great – and the owner, the legendary puppeteer Rezo Gabriadze has put some really neat artistic whimsical touches to the property. Creativity in details, food & wine map is guaranteed! Situated in one of the oldest quarters of Tbilisi, with a splendid 360 degree view, Hotel Kopala is known as one of the most romantic places to stay at in Tbilisi. 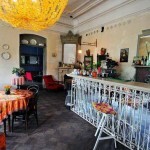 It also has a lovely atmosphere, great cuisine and a superb selection of wines. 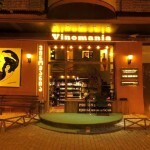 One of the best wine outlets in Batumi with a small selection of fine wines. 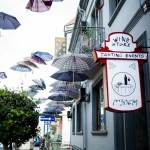 It is located in the old part of the city center under the many umbrellas hovering above outside in the air. This shop has already earned the trust of local wine lovers. 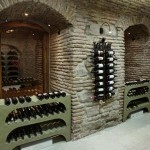 This outlet consist of a full wine shop and cellar. 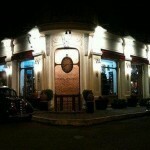 Here you can have a glass of wine after a walk on the street, famous for its antique shops. Located in the center of Tbilisi, this up-scale hotel has an original and charming artistic design touch. Francesco Manalo, its US- born executive chef has honed his culinary skills at top New York restaurants and has created a similarly impressive wine list. It is a great place to pair exquisite dishes with fantastic wines. Аtypical location for such a large wine store in Tbilisi with a big selection of wine. If you are in Saburtalo district please come and enjoy. As stylish as it is convenient, this Tbilisi hotel provides plush accommodation in the capital city of Georgia. 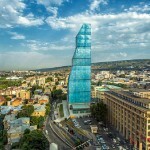 The impressive glass tower presides over the Mtkvari River and grants breathtaking views of the city. Guests benefit from on-site dining, premium spa facilities, indoor & outdoor pools, a chic rooftop bar& a high-class Casino. In addition to a carefully selected offering of wines and food your stay in the city may seem even much more interesting and tasty. 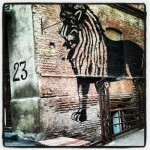 This place is a hidden gem in Tbilisi’s Sololaki District. The visitors can enjoy a cozy atmosphere in an old cellar and taste fresh and very tasty food! The menu encompasses a large variety of delicious Georgian wine and food & wines. 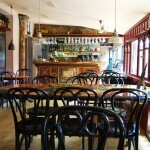 This place has a great vintage setting for some wonderful veggie food& fine wines in the heart of Old Tblisi. Situated in the most picturesque lake & wood of West Tbilisi, The Lisi Lounge was designed to engulf you with its freshness &coziness beyond the trees & plants .The restaurant can offer tasty food made by chef MerikunaGubeladze. The best wines on the wine list as a pairing for the right food areguaranteed. 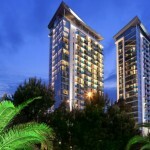 Set on the shore of the Black Sea, The Hilton Batumi provides a wealth of exclusive shops and food and dining option. 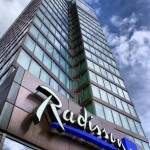 .Its prime location is in the city centre, overlooking the sub- tropical Black Sea and there is an easy access to the beach. This is the perfect destination for business or leisure, or simply gastronomic experience. This place opened 4 years ago and is popular – thanks to a unique, easy-going atmosphere. The café is located in a year building from 1905, which was owned by the famous Georgian writer Chabua Amiredjibi. Two of the rooms were redesigned in an eclectic style, which creates a very friendly atmosphere for dining – or just drinking a glass of wine inside. Alternatively, there also a lovely outside terrace. On summer evenings, live music is often played here, mostly jazz. All wines presented at this bar and shop are carefully selected through blind tasting by the Independent Tasting Commission in Georgia. You can taste your preferred wine with interesting snack and finger food at this lovely place. 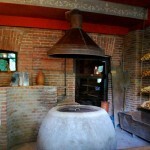 This place has a traditional Georgian bread oven right by the entrance which fills air with a truly irresistible smell. There is an atmosphere of an old yard and you will be met with and impeccable service, This establishment is located on right of the Kura River Bank – must visit. We invite to go there and try a very well prepared Georgian traditional meal with the best of wine pairing. 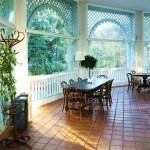 This establishment has a beautiful location, style and a wonderful green terrace. 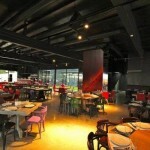 It is a place where you can linger all day with family and friends, or to meet with business partners. 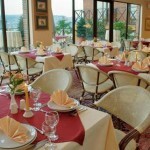 The restaurant has quite a versatile menu and the cuisine is mixed: with European, Asian, as well as Georgian dishes. 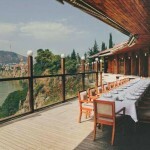 This is a very good traditional restaurant where you can enjoy superb views of Old Tbilisi and divulge in great Georgian food and wines. There is also performances with a live Georgian music and dances. Located in Northern Georgia across the valley from the iconic 5,047m Kazbegi Mountain in Stephantsminda, the original Rooms Hotel was opened in 2012 in a former Soviet center for regional tourism packages and expeditions. Today, the hotel, together with its restaurant and bar, make up the epicenter for the region’s tourism offering modern and stylish accommodations and distinctive design concept that embraces the historic legacy of the building and destination’s past. The restaurants offers a wide selection of Georgian and International wine and food. The origin of the word Sirajkhana comes from ancient Tbilisi slang: Siraj (wine trader/maker, ancient Persian) – and Sirajkhana (wine house, ancient Persian). 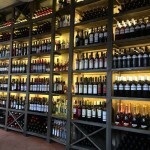 After reviewing numerous publications, newspapers, released in 19-20 century, as well as talking to historians and Georgians masters of wine the Sirajkhana owners have added some modern touches and a unique collection of wine. The original Georgian-Persian cuisine is developed by the talented chef Keti Bakradze. The Biltmore Hotel in Tbilisi is suitable for both business and leisure travelers. It is located in the very center of the city. With a distinct lifestyle and dining venues and one-of-its-kind entertainment arena, this property has already become an address for glamorous lifestyle of discerning travelers. Brotmeister is a new kind of casual gourmet eatery with a healthy food and reasonable prices. 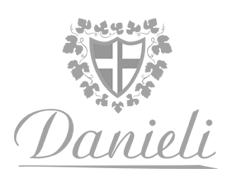 The food menu is developed by the famous Georgian chef Giorgi Sarajishvili and is very simple. It consists of breakfast salads, soups, bruschetta’s, sandwiches and desserts and is made with love, honest craftsmanship from the finest seasonal ingredients. The beverage menu is fresh and healthy with top quality beverages, including Danieli wines.